“Are you always this happy,” asks one of the three men dressed in head-to-toe black facing DJ Mag in a semicircle. They are Moderat, Berlin’s de facto techno supergroup comprised of Apparat (Sascha Ring) and Modeselektor (Gernot Bronsert and Sebastian Szary). We are sitting in Tin Pan Alley Studios, named after New York’s turn of the 20th century music-publishing epicenter. In an appropriate update, it’s now a recording studio with DJ classes. 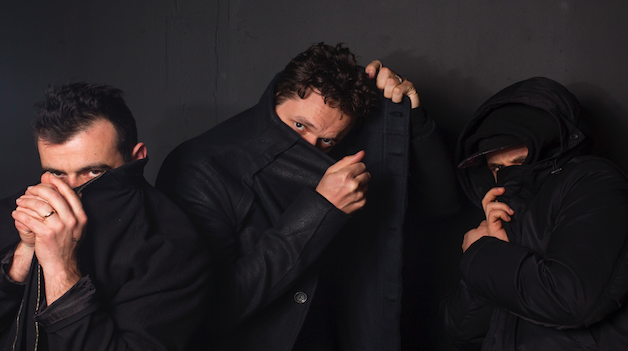 When it comes to Moderat, much ado is made of the meshing of their disparate styles – where Apparat is cerebral and orchestral, Modeselektor are corporal and crunk, to throw slang back to 2002 when they first fused. On their 2009 eponymous debut, Moderat proved the combination could work. On the 2013 follow-up LP, titled ‘II’, they began to feel like a band. On ‘III’, ‘Eating Hooks’ and ‘The Fool’ explore abstract atmospheres, ‘Running’ veers closest to a sublime rave anthem, ‘Finder’ flirts with haunting downtempo house, and ‘Ghostmother’ and ‘Reminder’ play with melancholy breakbeats and drum & bass. They sound as unified and self-sufficient as they claim. In a small room with a few keyboards and a loud air conditioner, we discuss the new album and how the Moderat experience is evolving. Hint: They’re as excited as you are. You’re about to start touring again. What do you have planned? Sascha, your music is often described in classical terms. Last time I caught you live at the Gramercy, it felt like a rock show. Modeselektor, you guys are the ones with the kids and record labels [Monkeytown, and recently defunct 50 Weapons] and you’re the wild ones. How does this all fit together? Has it gotten easier to be a single entity? How do you go back to your own work? Modeselektor, what’s it like having this third cat in the studio with you? I’ve heard you refer to Moderat as an island. It’s nice in the beginning, but then you want to kill each other. What do you do when you have a block? Are you deliberately not involving other people to reach a specific Moderat sound? How do these three albums connect? What kind of tea are you making? Does having more vocals make this more of a pop record? Are you more comfortable with singing now?